JPNY has a variety of large backpacks for college, but they’ve added some new updates in recent months. Now, midterms are almost over and the rush to finals and the sweet promise of summer break is on. We decided it’s well past time to make a new list with the top choices! What are JPNY’s best large backpacks for college? Yes. You could guess it. We’ve given the Tanker a lot of love on this blog. But it’s not without reason! This backpack is incredibly sturdy, and absolutely mind-blowing in how much can fit inside. Seriously, we’ve traveled with it, done shoots with it, gone to school with it, and more. This double compartment bag has a laptop sleeve, two front pockets, and ergonomic straps and back panel. It also now comes in this hot purple color, which we’re just a bit crazy about! Yes, we made this list to make room for new large backpacks for college. But we made an exception for the Big Apple, which is a classic if there ever was one. Literally, this bag is the proof some things are just timeless. With a simple, minimal design, the Big Apple doesn’t look as large as it is. But it also features two compartments and extra pockets. It comes in a multitude of fun colors, and recently got a very fancy special edition look. In the family of large backpacks for college, the Double Check might by the Tanker Backpack’s younger sibling. The two share many of the same design elements and structure. The Double Check is fully two-toned, however, and overall has a more stream-lined look. And don’t tell anyone, but the Double Check is a full inch deeper than the Tanker! The Double Check also comes in a medium and large size depending on your needs. There you go! Your top three large backpacks for college! You’ll be hard-pressed to find harder working, longer lasting backpacks. Head on over to www.johnpetersnewyork.com and grab yours! 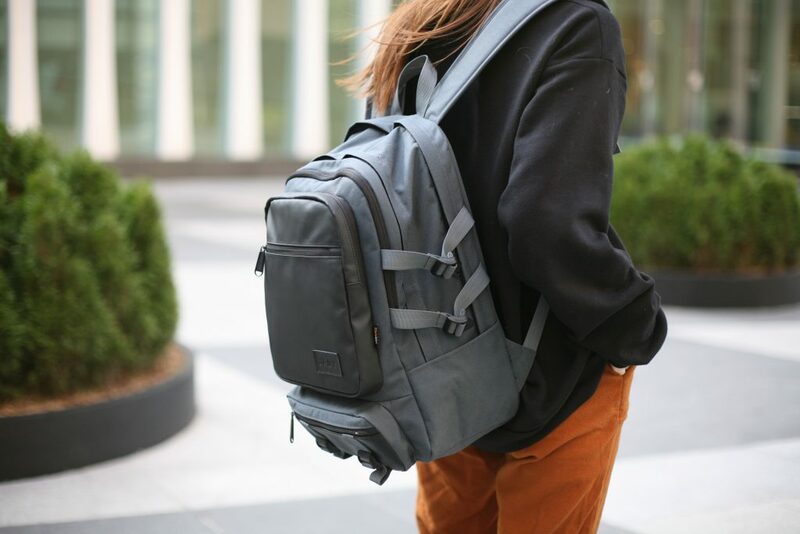 Share the post "JPNY BEST Large Backpacks for College: New List"
Posted in Blog and tagged best backpacks, best college backpacks, college backpacks, jpny, Jpny backpacks, large backpacks for college, student backpacks, top three. Bookmark the permalink.